speed bump plates under it. SR-71A, Slashaar, MattCowsmasher and 1 other person like this. MattCowsmasher and la0d0g like this. Found some time Saturday to do engine bay annual cleaning. ACEkraut, baldridge, Dominic4Lo and 16 others like this. I did 1 parts purple power and 3 parts water to break it down a little. Then, I used the engine foam degreaser spray. IT comes in a blue can. Just spray and let sit for 10min rinse it down and wiped down with microfiber clothes. TomTwo, Slashaar and Kuntrykid like this. I originally got it for rock protection and still like having it there for peace of mind. Some of the lava rocks here jutting out are sketchy. Most of the time it's defending from other people. Kuntrykid, la0d0g and Casper66 like this. Musubi3 and Beretta4x4 like this. Yup, that and shoes. Lava is very sharp and chunks off your rubber even when you're careful. My hunting shoes take a beating as well. Shoes that are meant to last "season after season" last about half a year for me. TomTwo, Kuntrykid and Casper66 like this. Yup, that and shoes. Lava is very sharp and chunks of your rubber even when you're careful. My hunting shoes take a beating as well. Shoes that are meant to last "season after season" last about half a year for me. baldridge, Ross09, Rick_Taco and 9 others like this. Hey guys, been a hot minute since I've done anything to my Tacoma, but I did end up snooping around and buying one of these organizers that are on the 3rd Gen Site. Was pretty confident that the 2nd and 3rd Gen Storage Area are the same, and sure enough it fits like a dream. That space had been dead storage for the winch hookup that came with my ARB, and now I've got a semblance of organization in an otherwise hard to use space. Thinking that I'll end up using it for different screw sizes, but put some random items in there for scale. loyaltothetaco, outxider, OverlAnderson and 11 others like this. loyaltothetaco, Scooter WCT, genghis71 and 12 others like this. Installed some NFab rails, courtesy of @Toy Coma , great guy to work with! Toy Coma, Minny Taco, TomTwo and 2 others like this. 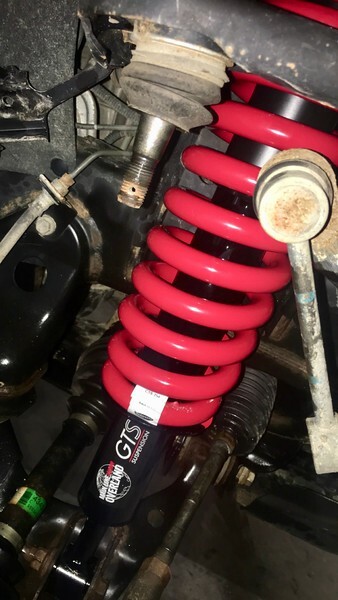 Dobinsons suspension - 2" lift, heavy load springs. SumoSprings rear. Hella 4000 lights. Leer 180 cap. DECKED bed storage system. 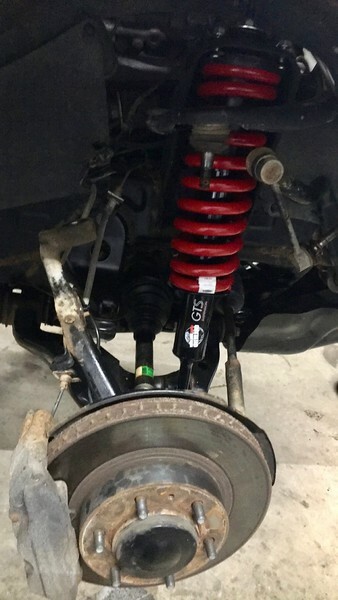 New GTS suspension from Main Line Overland. It's actually Dobinsons suspension that is rebranded for MLO. 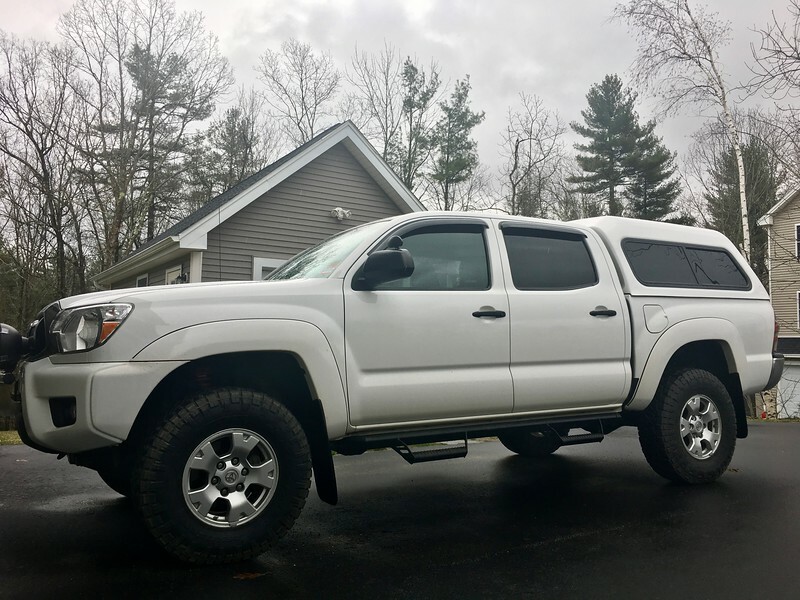 2" lift with heavy weight springs. ARB front bumper and winch is soon to come. loyaltothetaco, fxk142, TRlPPlN and 9 others like this. Inkedgenius85, Shawnmsx33, Dominic4Lo and 26 others like this. outxider, lo2hi, Kuntrykid and 3 others like this.